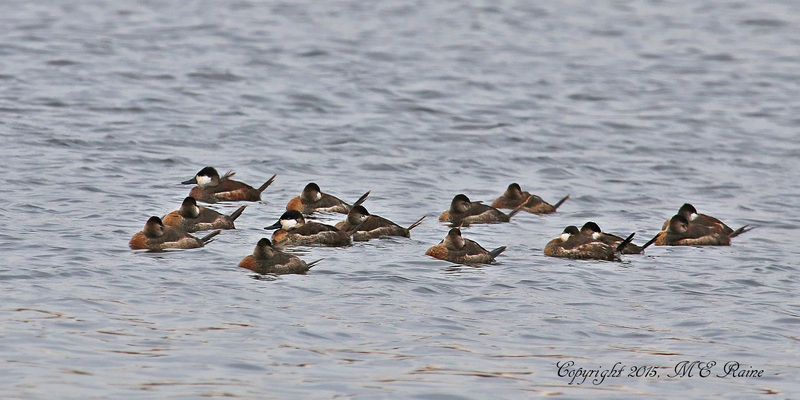 Took a quick walk over at Skeetkill [Sunday] morning and there were lots of birds there including greenwing teal and mallards; all kinds of sparrows including 2 red fox sparrows, swamp, song, white throats and juncos; gold and house finches and a Greater Yellowlegs; and three Wilson’s Snipe, of which one let me take some pictures of him before he took off. I’ve only been there twice now and both times were surprisingly productive. Catching up on all the great photos you all were kind enough to send over the holiday weekend. 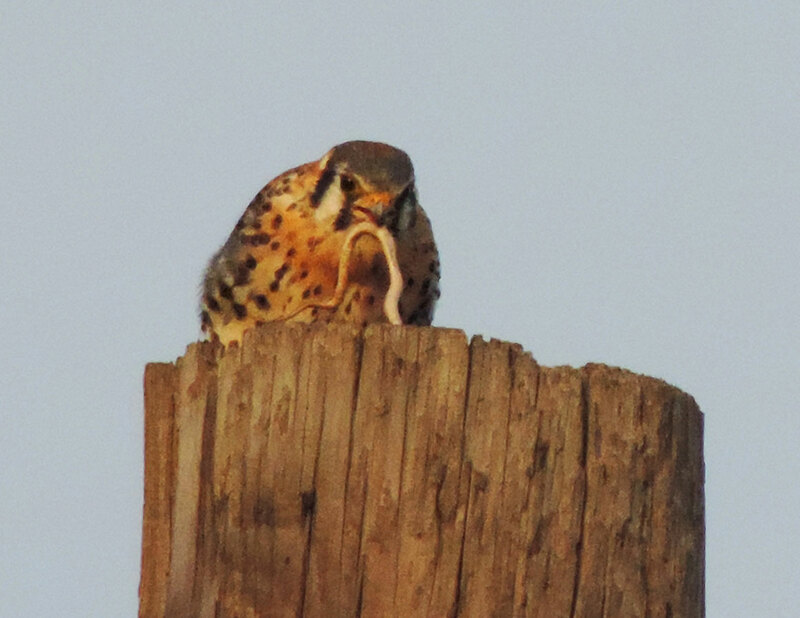 Here’s one from Rich Brown of a Kestrel on Friday atop a telephone pole along Disposal Road feeding on what appears to be a small snake. Thanks to Rich and everyone who has sent in pics the past couple days. I’ll be posting more later today and tomorrow. 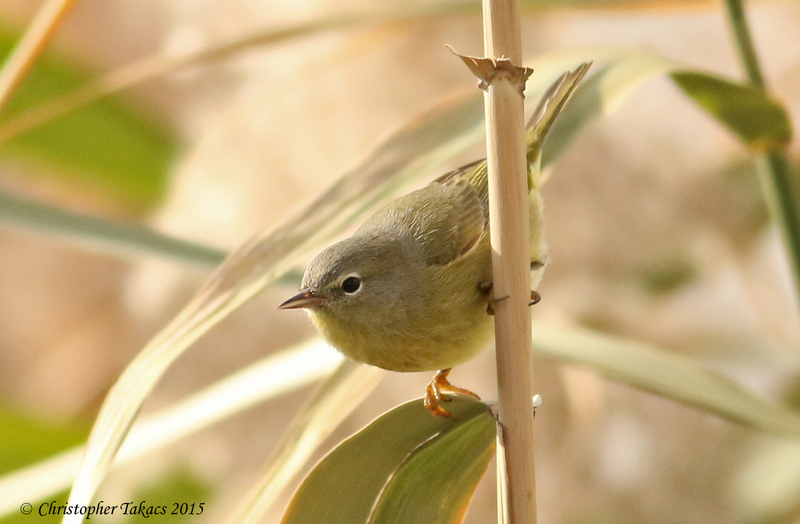 Here’s a great Thanksgiving Day photo that Chris Takacs took of an Orange-crowned Warbler to help start off your weekend! 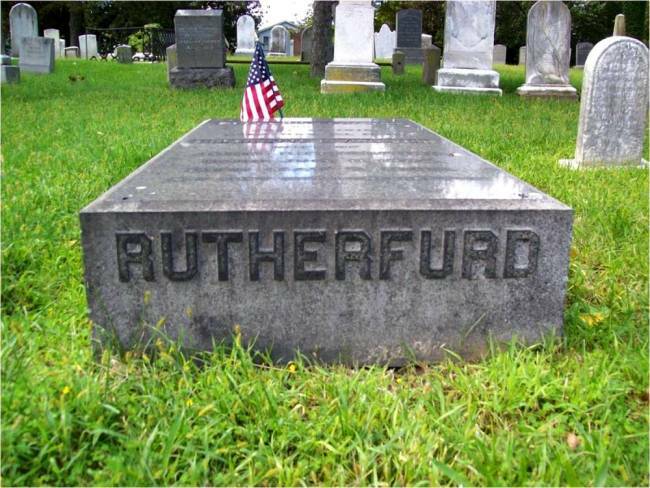 Interesting piece in yesterday’s Record about the origins of Rutherford’s namesake. Check it out here. 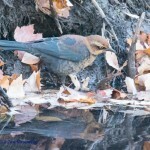 We have seen some great success stories in the birding world in recent years. The Bald Eagle has made a triumphant recovery from the edge of extinction, the Peregrine Falcon, once gone from the Eastern United States, has now returned, and the Osprey has become almost commonplace where it once had disappeared. 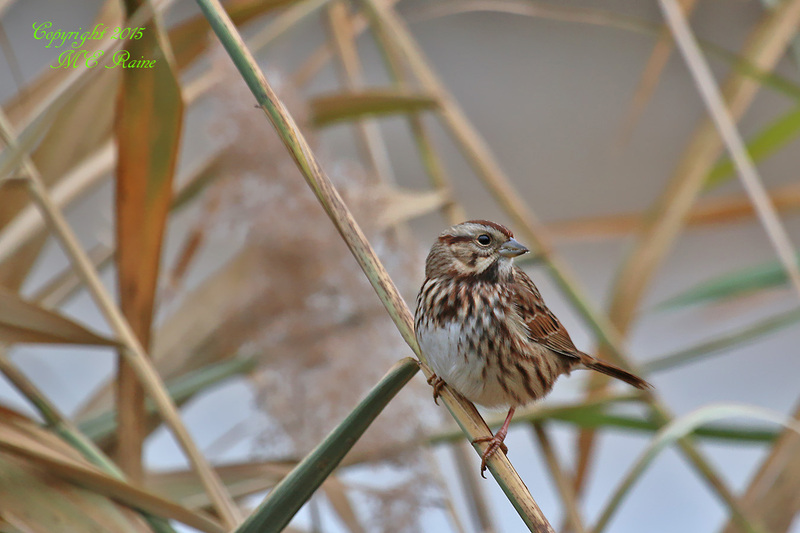 Yet today there are many birds much less known that are in serious decline. 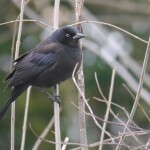 But like an old birding colleague once told me, “It’s tough getting people excited about a blackbird”. 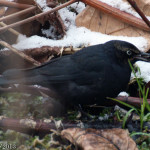 Although the big raptors like Eagles and falcons seem much more exciting and can more easily motivate people to protect them, the Rusty Blackbird lacks a press agent and gets little fanfare regarding its plight. But that does not lessen the fact that it is in serious trouble and can use our help. 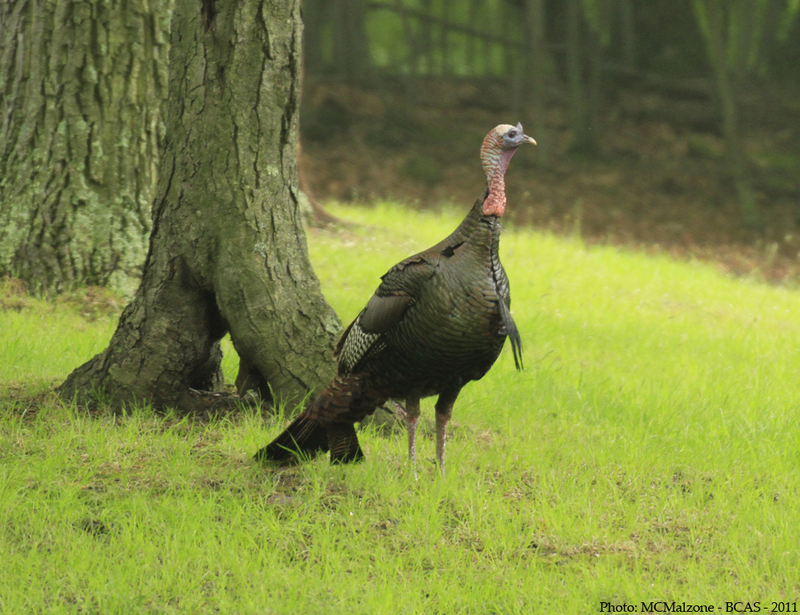 DeKorte Park will be closed on Thanksgiving Day. The park will reopen on Friday, Nov. 27. The park will also be closed on Christmas and New Year’s Day. 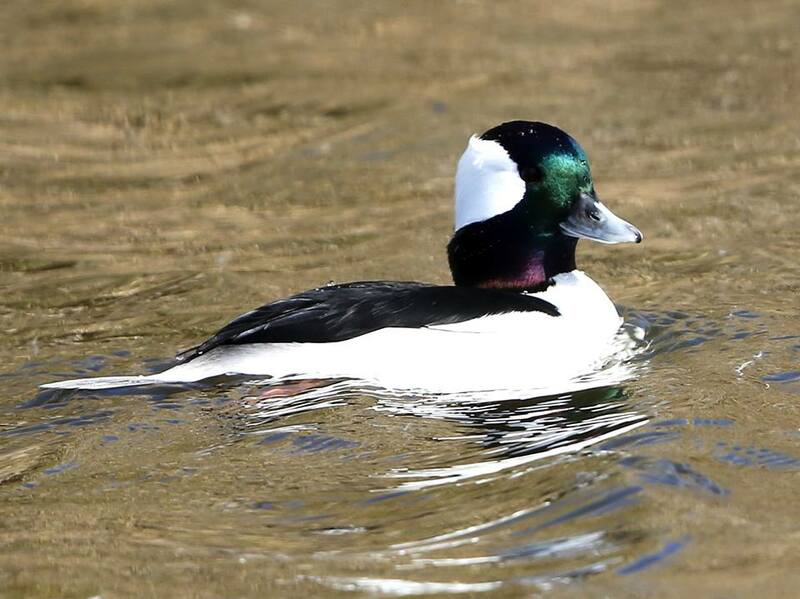 Sharing a great photo that Dennis Cheeseman got today of a Bufflehead at DeKorte Park to brighten your afternoon! 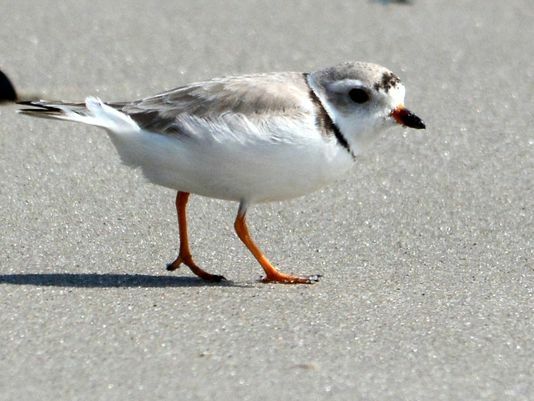 The Associated Press reports that there’s some good news for New Jersey’s endangered Piping Plover population. 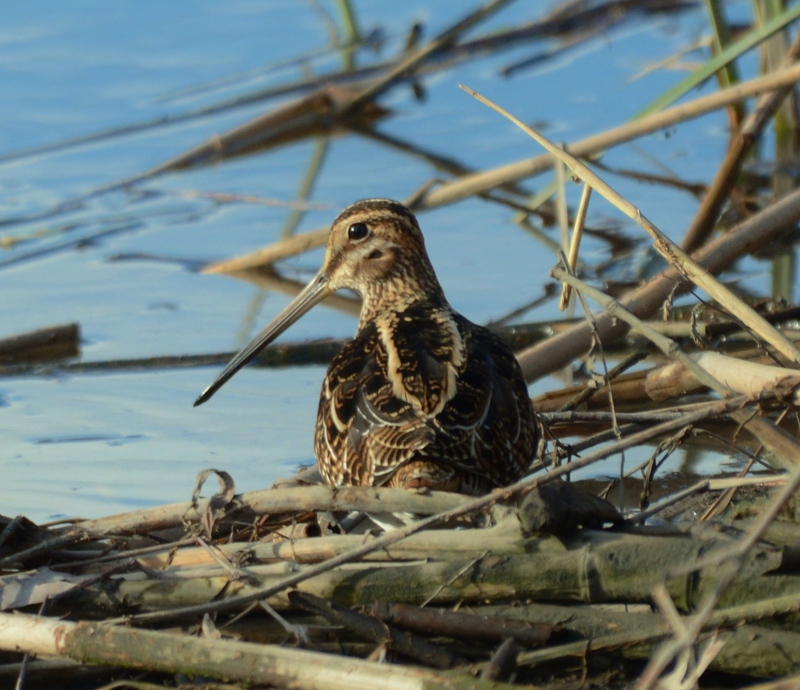 According to the AP report, scientists say that while the shorebirds remain at risk, their population is on rise. Read the story here. 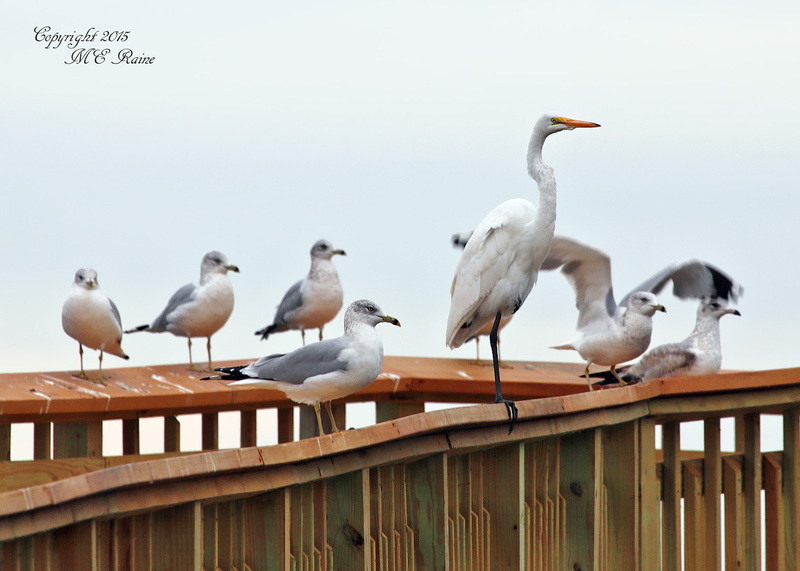 Winter on the Way – or Maybe Spring? December may be just around the corner, but in parts of DeKorte Park it looks more like spring. 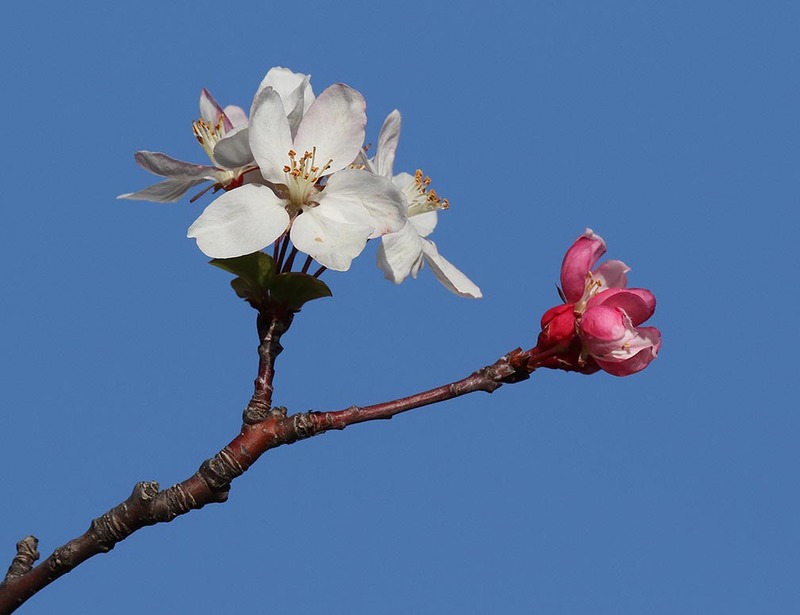 Check out the photo by Ron Shields above taken this week of some new buds at the Lyndhurst Nature Reserve. Hopefully the nice weather holds up for the weekend!